You may know that ActivePresenter supports SCORM and Tin Can API (xAPI). They are the two common specifications for eLearning contents with a lot of similarities. However, many users don’t have a clear understanding of differences between xAPI and SCORM. This leads to the fact that it isn’t easy to determine which one they should choose. In this article, I will provide better insights into SCORM and xAPI, plus some major differences between them. SCORM stands for Shareable Content Object Reference Model. It is a product of ADL Initiative, a research group sponsored by the United States Department of Defense. SCORM, basically, includes a set of technical standards which ensure that eLearning contents fully integrate with an LMS (Learning Management Systems). Let me give you a vivid example. When you want to buy a song on Spotify, you often don’t need to check if it works well with your MP3 player. Why? This is because music production companies use the same set of technical standards to make music. Hence, the way a music track plays on a Sony MP3 player is similar to the way it plays on an iPod. Without these standards, a music producer needs to encode and deliver his music to many formats for each MP3 player brand. This is how eLearning used to be before SCORM was born. Shareable Content Object: shows that SCORM is all about creating online learning materials which are easy to reuse, share, and repurpose. 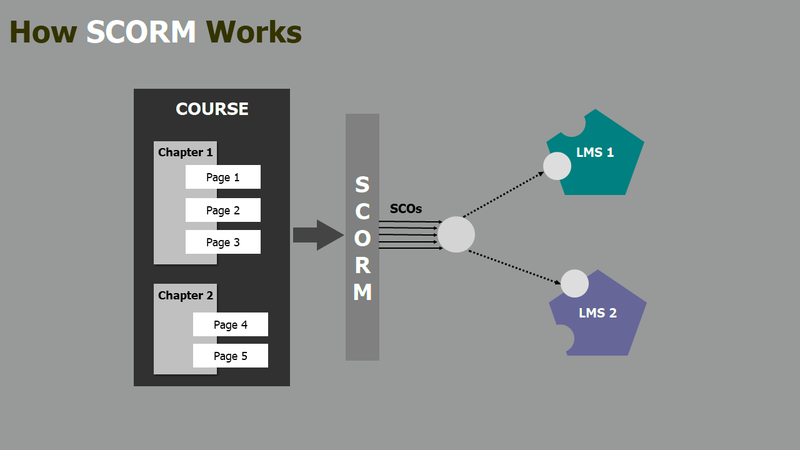 Reference Model: indicates the fact that SCORM isn’t really a standard. In fact, it references many existing standards and tells eLearning designers how to properly use them together. ADL didn’t write SCORM from the scratch. Like any technology, SCORM has evolved over time. There are now four versions of SCORM, including SCORM 1.0, SCORM 1.1, SCORM 1.2, and SCORM 2014. SCORM 2014, of all versions, also has several different editions. Note that SCORM enables online training only. In other words, this technical standard is reliant on a web browser, an Internet connection, and an LMS. Hence, if you want to track offline training, you should switch to a better option: Tin Can API (xAPI). 2. What is Tin Can API (xAPI)? Tin Can API or xAPI is the next generation of SCORM. xAPI adopted all key features of SCORM, plus some new features. For example, it has the capability to view in-depth assessment results, record any activities, and track diverse eLearning scenarios. Besides, unlike SCORM, xAPI doesn’t rely on any web browser, LMS, and Internet connection to work. Learners, therefore, have easy access to all kinds of materials anywhere and learn anytime they want. The “x” in xAPI is short for “experience”. This implies that xAPI’s advantages are far beyond what SCORM brings to you. Meanwhile, API stands for Application Programming Interface, a common method for software systems to interact and share data. At the simplest level, an xAPI activity statement tracks experiences in the “I did this” format (actor, verb, object). For example, “Jones did those tasks” or “Andy joined the party”. This format is also the core of any xAPI statement, making it easy to track any experience in any context. 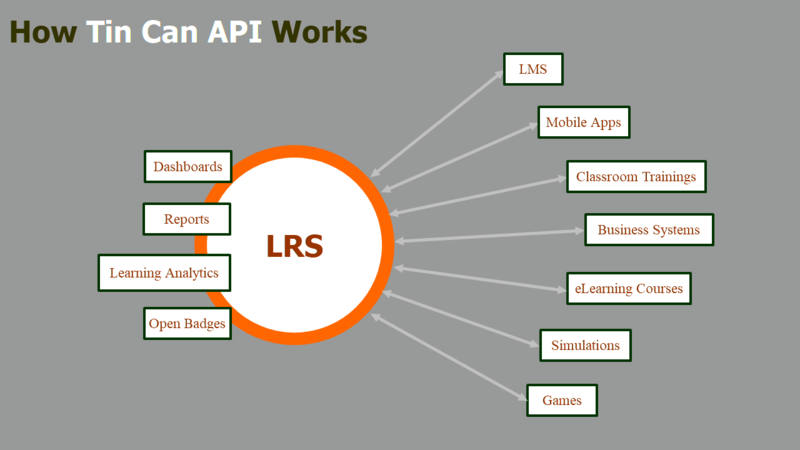 If SCORM contents need an LMS to play, an LRS (Learning Record Store) is at the core of any xAPI ecosystem. The LRS will receive, store, and return data about learning experiences and performance. What’s more, you can also use your LRS to distribute data to other systems which support xAPI like another LRS, an LMS or a third-party reporting system. This feature is actually one of the most noticeable things which make xAPI become more advantageous than SCORM. The current version of xAPI is 1.0.3, released early in October 2016. 3. What’s the Difference between SCORM and xAPI? Some people often think about SCORM like a landline and xAPI like a smartphone. Using a landline, you only make phone calls. Meanwhile, a smartphone can transform the way you communicate with others and change your life. Besides calling, you can send messages, take photos, access the Internet, install new applications, share files, customize your phone, and so much more. xAPI now has started displacing SCORM, just as smartphones eventually overtook landlines. In other words, SCORM is just more basic compared to xAPI. According to Experience API, there are many differences between these specifications as shown below. In the eLearning market trends and forecast 2017 – 2011 report, Docebo stressed that “xAPI is another emerging feature demanded of authoring tools. While it still represents a niche product in terms of adoption, it is expected to become a game-changer in the upcoming years”. Despite all distinctions above, the outcomes delivered by SCORM and xAPI are similar. That is, whichever specification you choose, your eLearning contents won’t differ too much. Both allow learners to launch courses, complete them, answer quizzes, and pass tests. In reality, it depends on your needs. Create a large library of learning objects. Use an LMS to deliver and manage learning contents. Use eLearning contents in other contexts. Design eLearning contents that monitor the learners and adapt to their needs. Track learners’ activities without an Internet connection. Record experiences like mobile learning, serious games, simulations, informal learning, and real-world performance. Keep an eye on not only a single learner but also a group (group training). Distribute statements to other systems. Bring learners a huge opportunity to learn everywhere and forever. 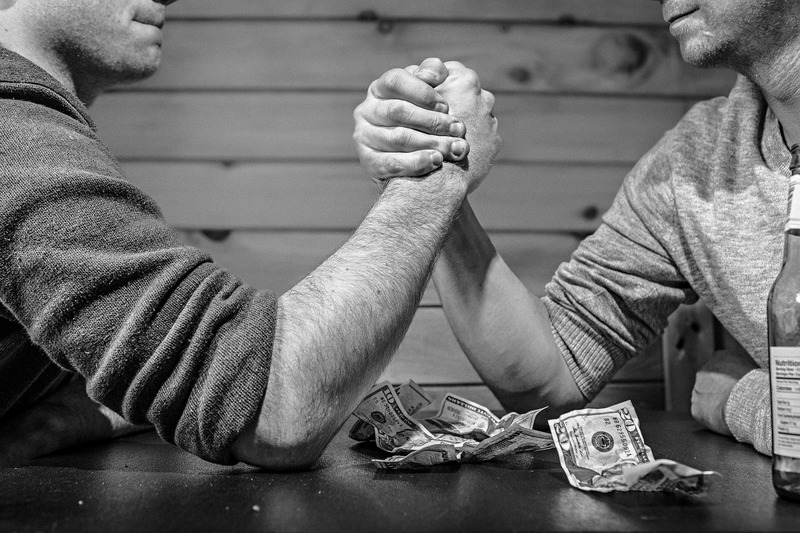 Although xAPI is powerful and amazing, it isn’t a perfect option. That is, xAPI doesn’t automatically create things like animations that work well on mobile devices. Thus, it can’t improve the appearances of contents in a course as many eLearning designers mistakenly believe. Also, note that SCORM and xAPI aren’t the only eLearning standards out there. Others like AICC HACP and IMS Common Cartridge also have their places in the eLearning industry. As stated earlier, ActivePresenter allows packaging contents to one of the following standards for uploading to LMS: SCORM 1.2, SCORM 2004, and Tin Can API. For more details about the procedure, see How to export Projects to SCORM and Tin Can API. That’s all about SCORM and xAPI. Hope that this article will be useful to you. Download ActivePresenter today and try publishing your contents to SCORM or xAPI.